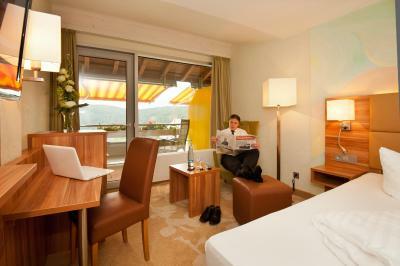 Lock in a great price for Landidyll Hotel Albtalblick Ihr Wellness- & Wanderhotel – rated 8.8 by recent guests! 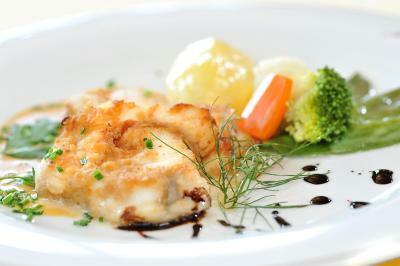 Dinner was excellent, although a bit pricey. 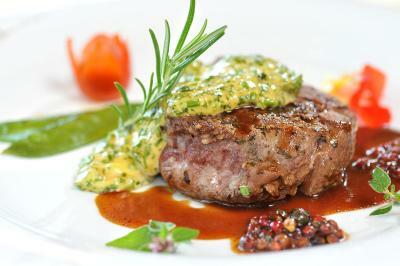 Breakfast was very good and they could prepare gluten and lactosa free dinner. A real discovery in the south of the Black Forest; we will come back! Spa was really good and the garages for the bikes as well. Staff is very friendly. The room was big and very clean! The hotel is clean, the suite was spacey and comfortable. 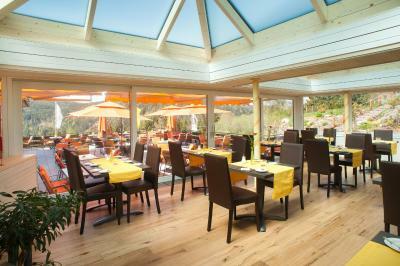 Swimming pool is very nice, breakfast is also great and the staff are very friendly! Room was very spacious and shower was great. 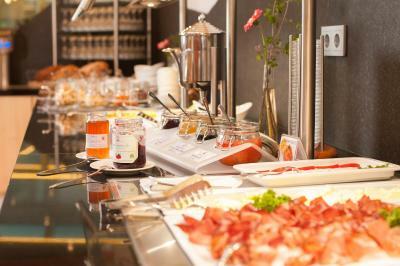 The breakfast was very good with different types of bread available. The bed was very comfortable. 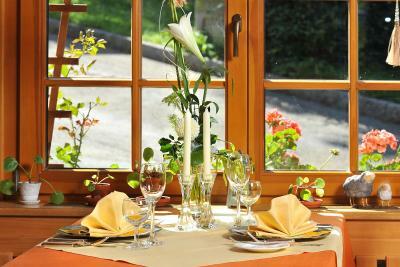 The restaurant also had very good food and the desserts were excellent. 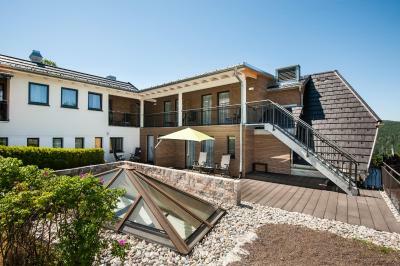 Grosse Zimmer mit Sitzgelegenheiten und viel Platz. Grosse und bequeme Betten. 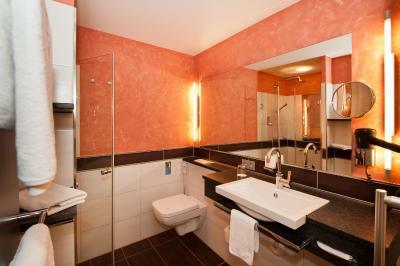 Modernes und geräumiges Badezimmer. Frühstückbüffet war gut, Kaffeemaschine mit gutem Kaffee. 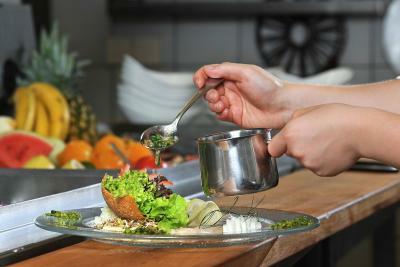 Das Essen inkl. Frühstück erfüllt jede Vorstellung. 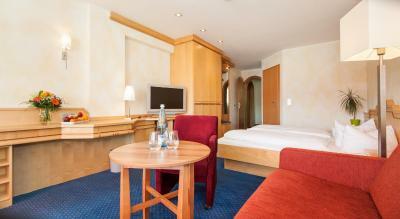 Sehr schönes Zimmer, Wanderwege vor der Haustür, reichhaltiges Frühstückbuffet, freundlichespersonal. 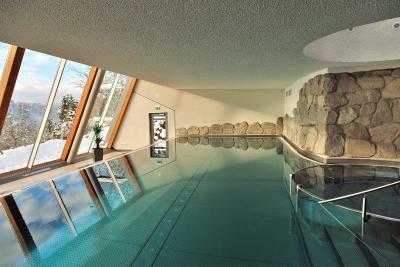 Landidyll Hotel Albtalblick Ihr Wellness- & Wanderhotel This rating is a reflection of how the property compares to the industry standard when it comes to price, facilities and services available. It's based on a self-evaluation by the property. Use this rating to help choose your stay! 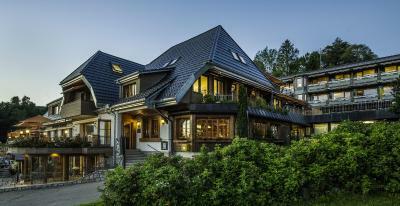 This family-run 3-star superior hotel is set in beautifully picturesque countryside, in the spa town of Häusern, in the southern reaches of the Black Forest. 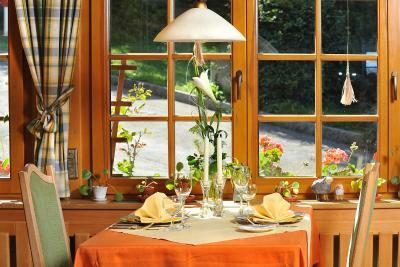 The Landidyll Hotel Albtalblick offers comfortably finished rooms, featuring all listed facilities and including either a terrace or balcony. 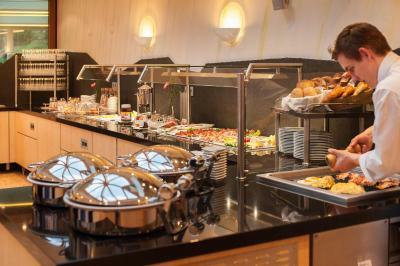 Wake up each morning to a rich breakfast buffet, and enjoy delicious local specialties along with select wines and cool beer, offered for lunch or dinner in the cozy atmosphere of the Albtalblick restaurant. Enjoy the pool, sauna and spa area. Go for a swim, or relax in the sauna or steam rooms, the use of which is included in your room rate. Massage services and a solarium are available. 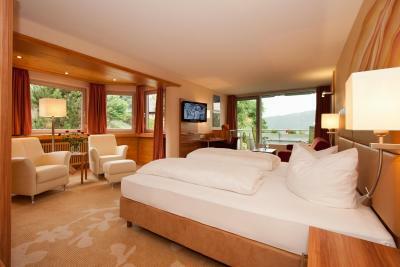 When would you like to stay at Landidyll Hotel Albtalblick Ihr Wellness- & Wanderhotel? 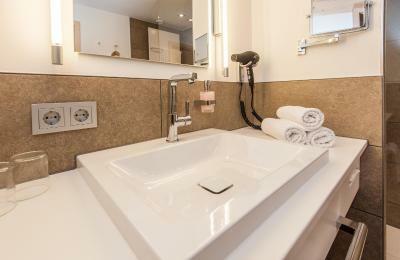 This quiet suite features a south-facing balcony, a walk-in closet and a bathroom with bidet. A second double bed can be pulled down from the wall. Features a spacious living area with a large flat-screen TV. 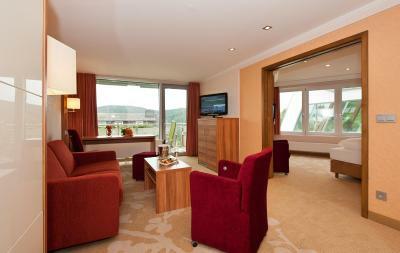 House Rules Landidyll Hotel Albtalblick Ihr Wellness- & Wanderhotel takes special requests – add in the next step! All children from 2 to 6 year are charged EUR 16 per person per night in a crib. 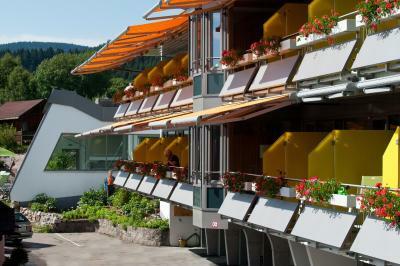 All children from 7 to 14 year are charged EUR 23 per person per night for extra beds. Debit card Landidyll Hotel Albtalblick Ihr Wellness- &amp; Wanderhotel accepts these cards and reserves the right to temporarily hold an amount prior to arrival. 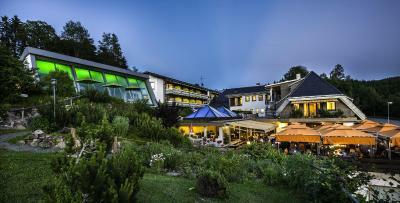 Landidyll Hotel Albtalblick Ihr Wellness- & Wanderhotel accepts these cards and reserves the right to temporarily hold an amount prior to arrival. The payment process, after ordering the room for the price of 910 Euros, they claimed for an extra of 250 Euros! their reason was that the order did not include children although I ordered the room for 2+3 children. One other thing that was very unpleasant for me was a big wall with pictures of the family members that owned this hotel, one of the family members was a Nazi SS soldier and his pictures was shown up at the center of that wall, as a Jew this was irritating and made me feel uncomfortable . 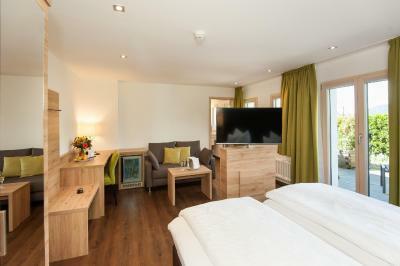 I would expect to remove this picture or at least replace this picture with other that has no Nazi signs (picture is attached) The hotel is also less equipped for kids, it is more likely for couples that are looking for a nice and quite place. The towels for swimming pool is paid. No information about that. 16 € per day for baby cot is charged which is a bit expensive. Usually it is not charged by other hotels. The ha-mam Turkish sauna smelled badly. The water in the swimming pool was too cold for a wellness hotel. Breakfast was good. So was the room. The swimming pool was very nice although the water was a bit cold at the evening time. Also it was nice if we had a Kettle in the room for making coffee. There was no air conditioning available and there were quite some annoying flies flying around on the terrace. Being charged for the use of the pool which I did not use!